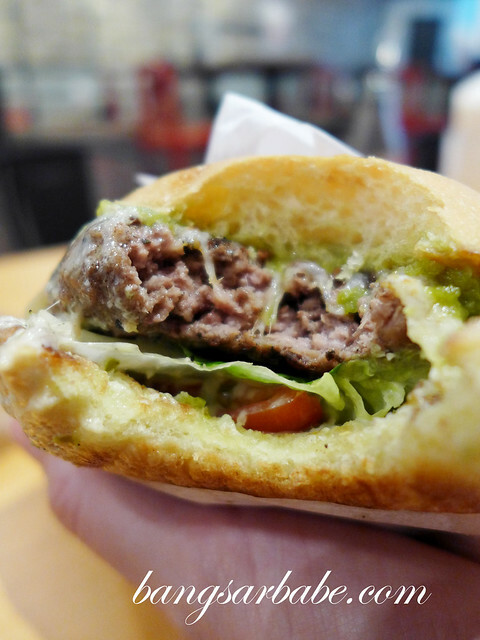 My first introduction to gourmet burgers was in London, over 6 years ago. 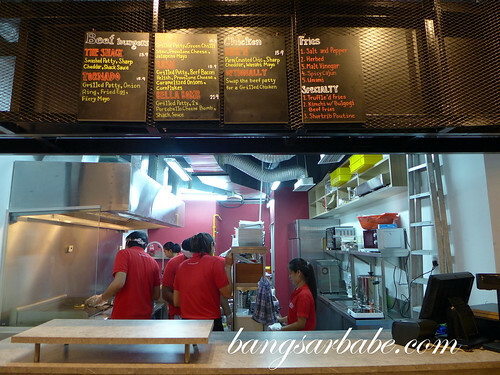 That was before Bangsar Babe started and they were the best beef burgers I’ve eaten. 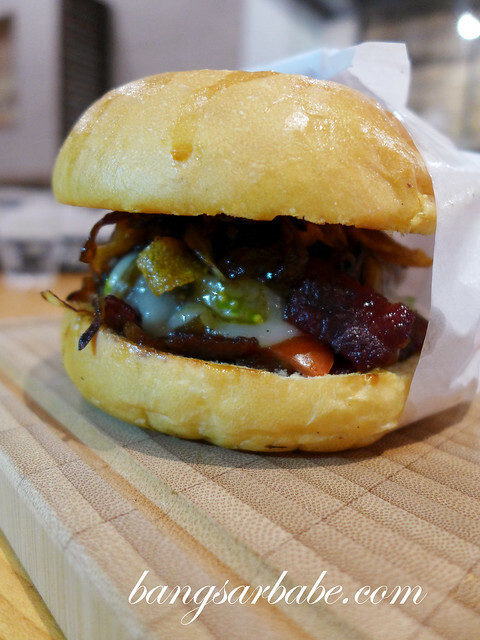 Ever since, I’ve been on the lookout for good burgers with patties made from scratch. 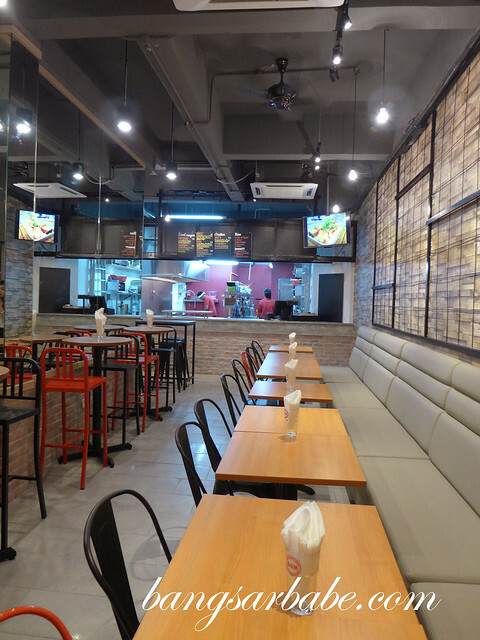 Tucked away in Jalan Telawi 2, KGB Bangsar is a new burger joint that serves their version of gourmet burgers. 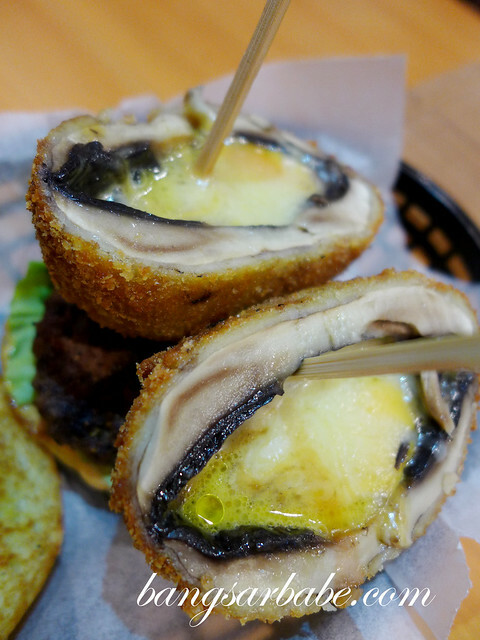 As the name suggests, KGB is all about burgers – from the classic (The Shack), to the more elaborate Bella Bomb, Portobello mushroom with molten cheese centre on a burger. 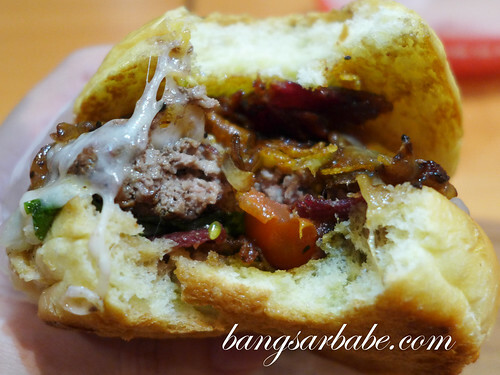 I don’t claim to be a burger expert, but I roughly know what a good burger should have – fresh ground beef with enough fat, so the patty remains juicy and flavourful after cooking. 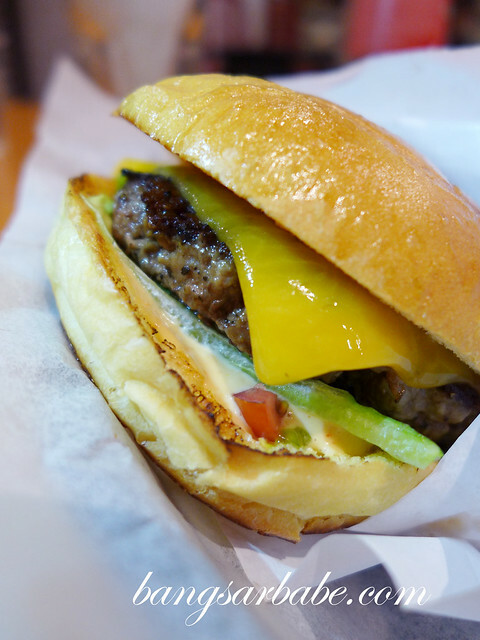 KGB uses the grill method for all burgers, save for The Shack, where the patty is prepared on a hot plate. 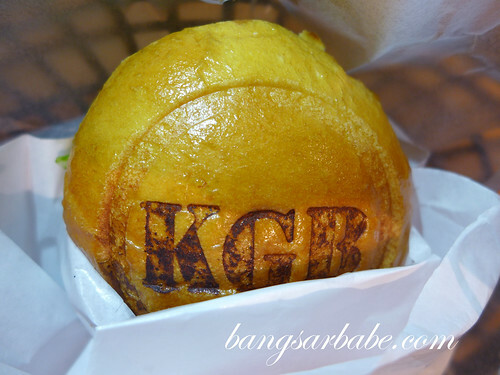 I liked how they add the KGB logo on the burger bun – very cute. Also, the buns were fairly soft yet firm enough to hold the ingredients together. A good change from the coloured bun craze. 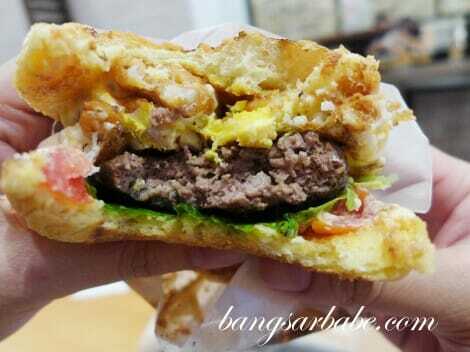 For those who expect gourmet or specialty buns, do be realistic – you’re paying less than RM20 for a burger. 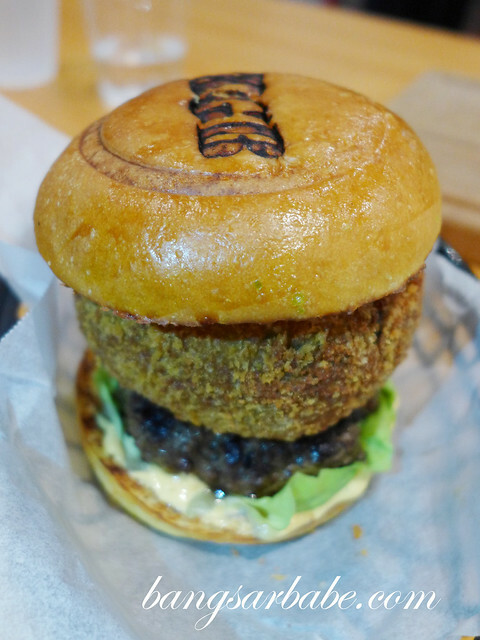 rif and I tried all the six burgers available, starting with The Shack (RM13.90) – a classic burger of smashed patty, sharp cheddar and shack sauce. If you’re a fan of ‘pressed patties’ you’ll like this as the patty is compact and its exterior is crisp. I thought the sharp cheddar worked quite well with the homemade shack sauce. I much preferred the grilled patties as they boasted a tasty confluence of texture and flavours. 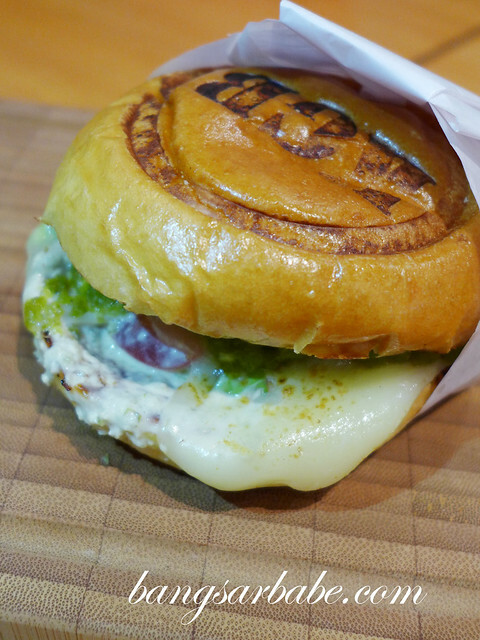 The Bobcat (RM15.90) was a composition of grilled beef patty, green chilli slaw, provolone cheese and jalapeno mayo. This was mildly spicy, with a rich flavour from the cheese and mayo. Bella Bomb (RM21.90) wins in presentation, but I felt the Portobello cheese bomb was a tad large to be eaten together with the burger. I liked the idea of using three types of cheese in the ‘bomb’ – Parmesan, cheddar and mozzarella. A smaller mushroom would have worked better, I feel. 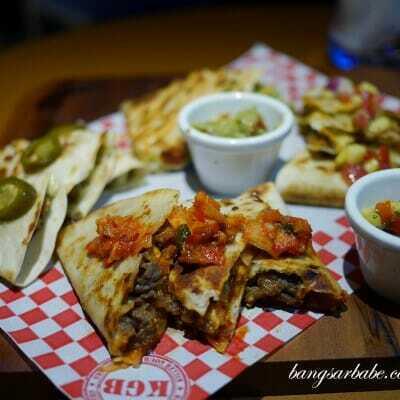 My two favourites were the Tornado (RM15.90) and Bash (RM18.90). 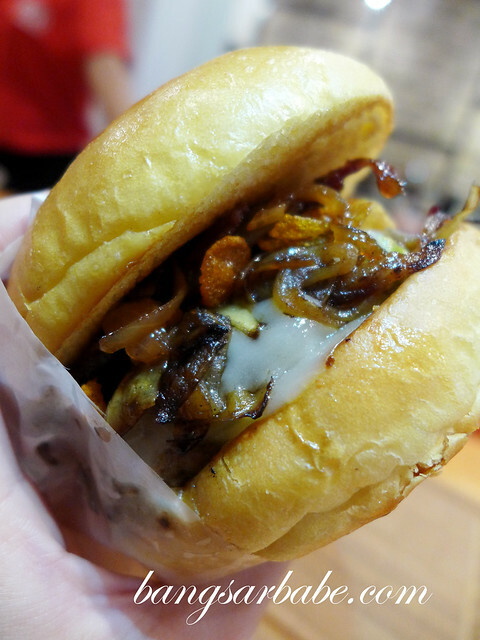 Bash was a new creation to me, where the grilled patty is topped with crispy bacon, relish, provolone cheese, thick caramelized onions and honey cornflakes for that extra crunch. 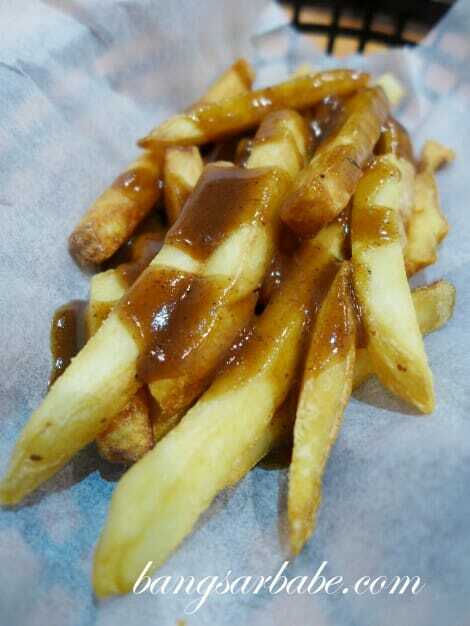 This was better than using chips or onion rings. A winning combo for me. The Tornado was equally good, but I found it less interesting compared to Bash. 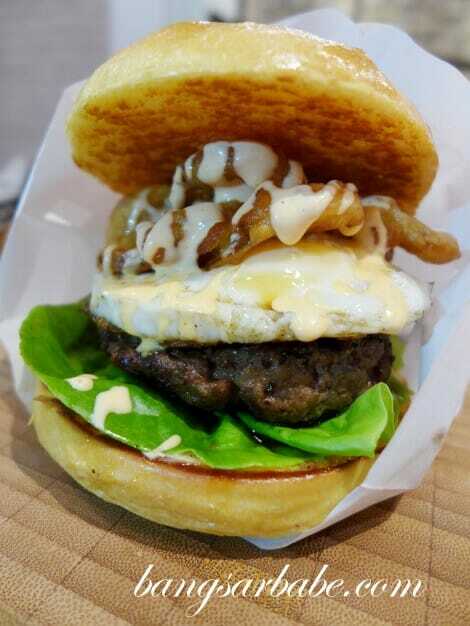 This was a sizeable burger of grilled beef patty, onion ring, fried egg and fiery mayo. A bit messy to eat as the yolk pops and blends well with the juices from the patty, with the mayo binding all flavours together. Have extra serviettes on standby. For those who can’t take beef, there is a chicken alternative in the form of Kick’N (RM15.90). 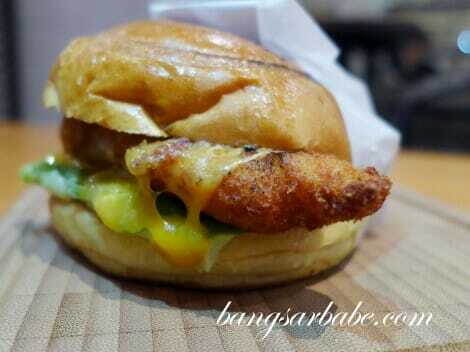 Chicken breast is used as the patty, and it is parm-crusted and deep fried till crispy. I would have preferred chicken thigh as I generally prefer darker meat. 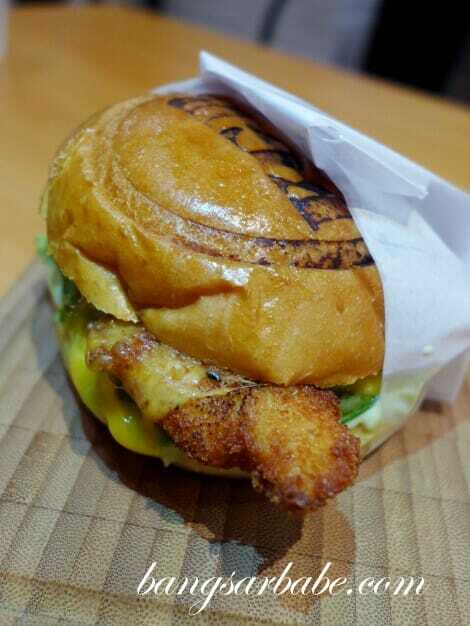 The cheddar and wasabi mayo was a pretty balanced and didn’t overpower the flavour of the chicken patty. 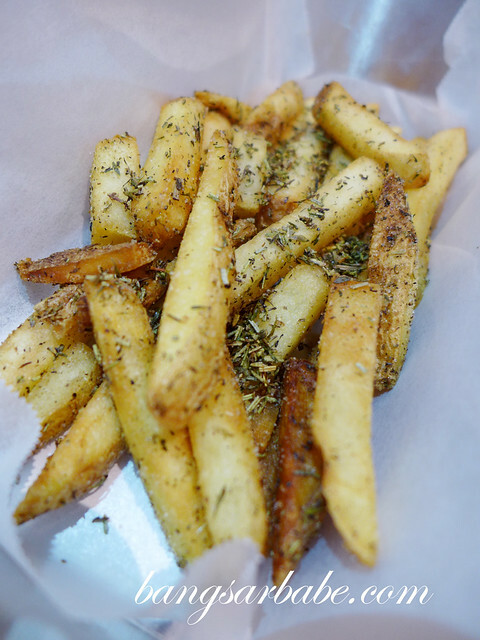 The fries options are also pretty interesting – I tried the Herbed Fries, Truffle’d Fries, Kimchi w/ Bulgogi Beef Fries and Shortrib Poutine Fries. 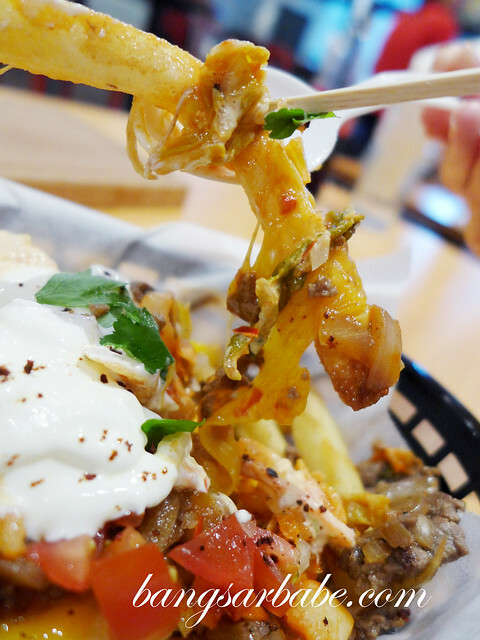 Of the lot, my favourite was the kimchi; a creation of Steven and Joey, after they tried something similar in Korea. They told me it’s still in the tweaking process but I personally liked it. 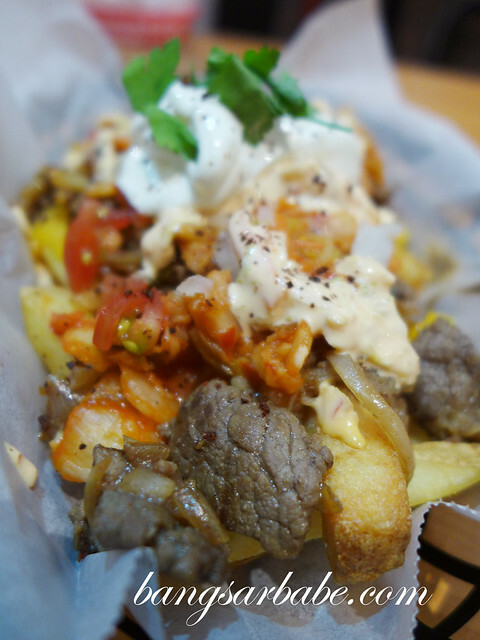 Think of this as a Korean version of fries with chilli con carne. 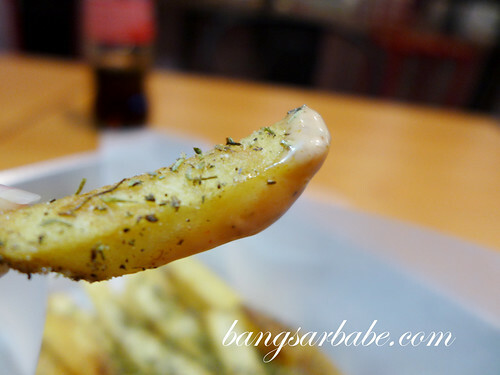 The other fries were not bad, but I was pretty set on the kimchi one and didn’t budge from my choice. 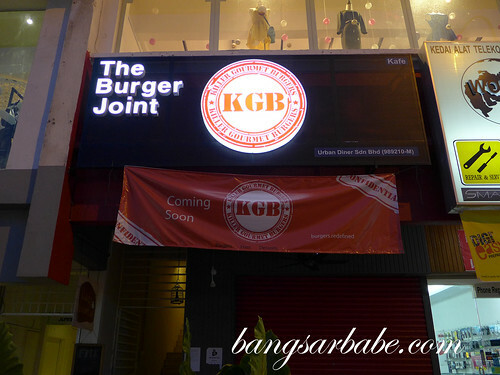 KGB Bangsar opens to public this Friday, 7 June 2013. 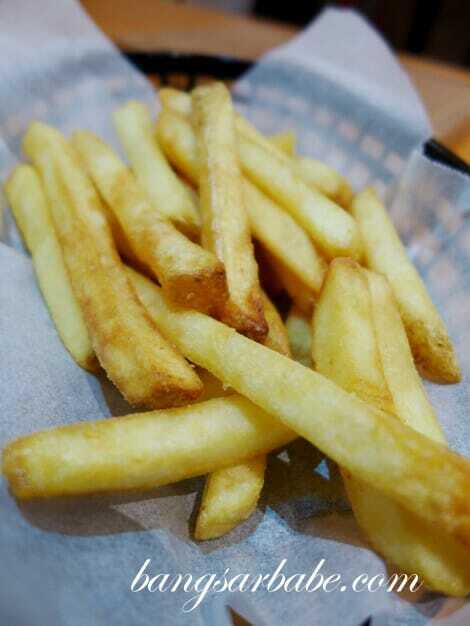 From 7th to 20th June, KGB Burger is giving away free set meals upgrade (fries and drinks) for any burger purchases. Verdict: Try Bash, and if you’ve space for one more, Tornado. You should try when they open this Friday. The Bella Bomb looks interesting but can’t really figure out what’s the “patty”? 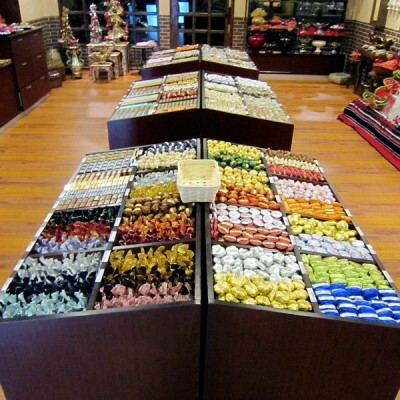 Looking at your blog, it is almost certain that a lot of your food and items are sponsored. I suggest that you should disclose such sponsorships, as it is not ethical to hide it. A sponsored evaluation will always include biases in service delivery and evaluation. Thank you for your comment on http://www.bangsarbabe.com. While KGB was an invited review, I’ve gone back numerous times as a customer and service and food quality remains the same. 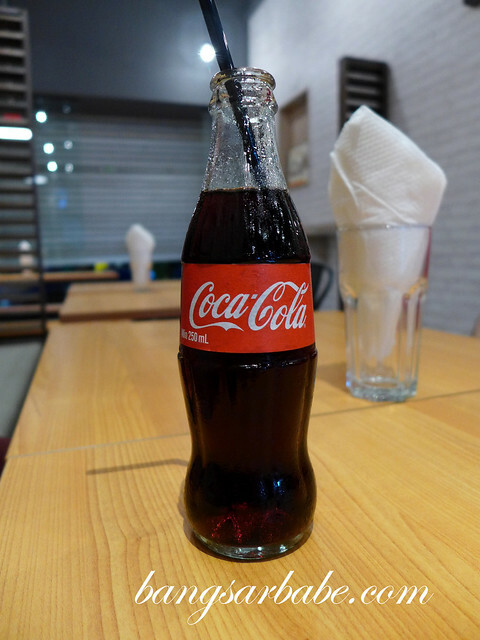 It is also my style to revisit restaurants I review as a paying customer to ensure my readers get the same treatment. Hope this clarifies your issue. Hey there, just wanted to tell you your reviews are great. Love the pix too 🙂 I personally travel a lot, and when looking for a local getaway, I know I can always count on you cos there doesn’t seem to be anywhere you haven’t been ;D Rock on, girlfriend!